The first class was so successful they’re hosting round two. After a successful sausage making class in December, Robbie’s Gourmet Sausage Company and Dressed by an Olive are ready to host another sausage making class on January 28, 2016. 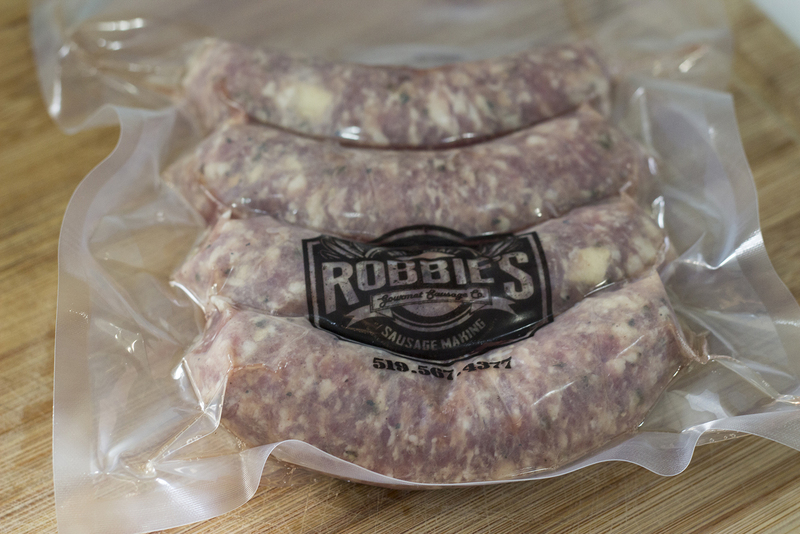 Apple Butter and Sage sausages from Robbie’s Gourmet Sausage Co.
Not only will you partake and learn the art and craft of gourmet sausage making with Robbie Bornais of Robbie’s Gourmet Sausage Company, you’ll also Dressed by an Olive oils and vinegars and a 4 course meal. Plus, you’ll bring home over a pound of fresh hand crafted sausages made over the course of this fine evening. Cost is $80 per person and can be purchased by calling 519-735-1772.